Fine Art paper creators Hahnemuhle now have a UK online shop customers can buy and leave reviews on. 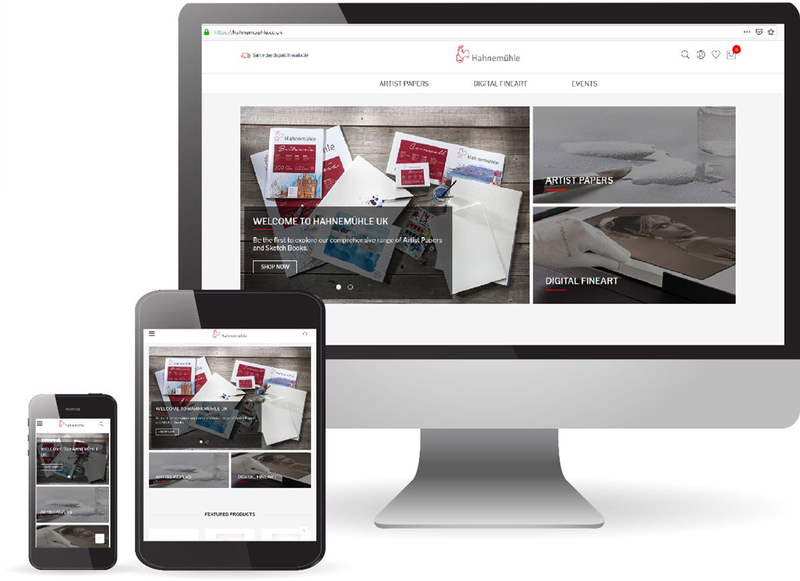 Hahnemuhle has a new website that's responsive and is an online portal for UK customers to purchase fine art paper. "We are thrilled to launch online shopping in the UK," says Simon Waller, General Manager. "This significant milestone fully rounds out Hahnemuhle's multichannel offering. Along with over 100 art supply stores all over the UK, customers will now have twenty-four-hour access to the best papers for Traditional and Digital FineArt via their computers, smartphones, and tablets from anywhere in the UK." "Meeting the demands of a challenging market is not guaranteed through an internet presence alone," added Fanny Danskanen, Marketing Manager. "Online sales are just one component of successful marketing. We do not view an online shop as an alternative to local retail, but rather as a complement to it."